A well presented product is much easier to sell and manage. 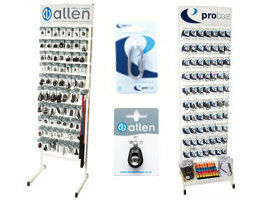 Our display stands have been designed to offer up to 121 different products within a minimal space. 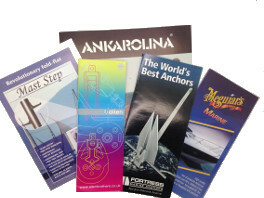 Most of the Proboat range can be supplied on our secure and strong, recyclable plastic presentation cards allowing your customer the important possibility to touch and feel the product without damaging the packaging. 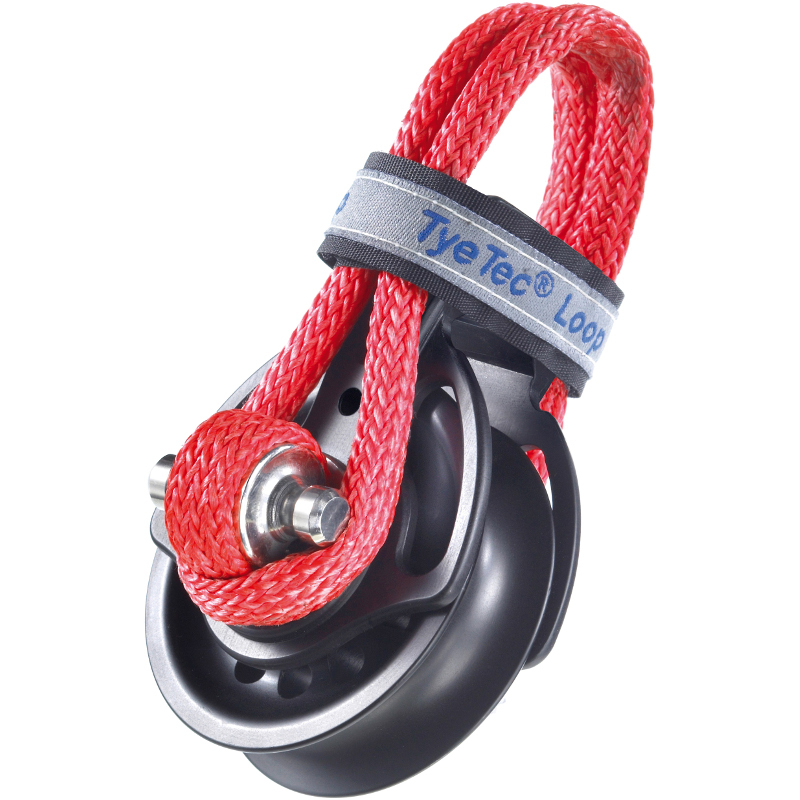 They also help prevent theft of smaller, easily concealed parts. A bar code label showing the part number and description saves wasted time on stock management and labeling. 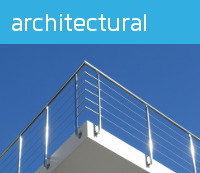 This is a well proven system that offers best turnover ratio for the minimum space. Contact us for immediate delivery. 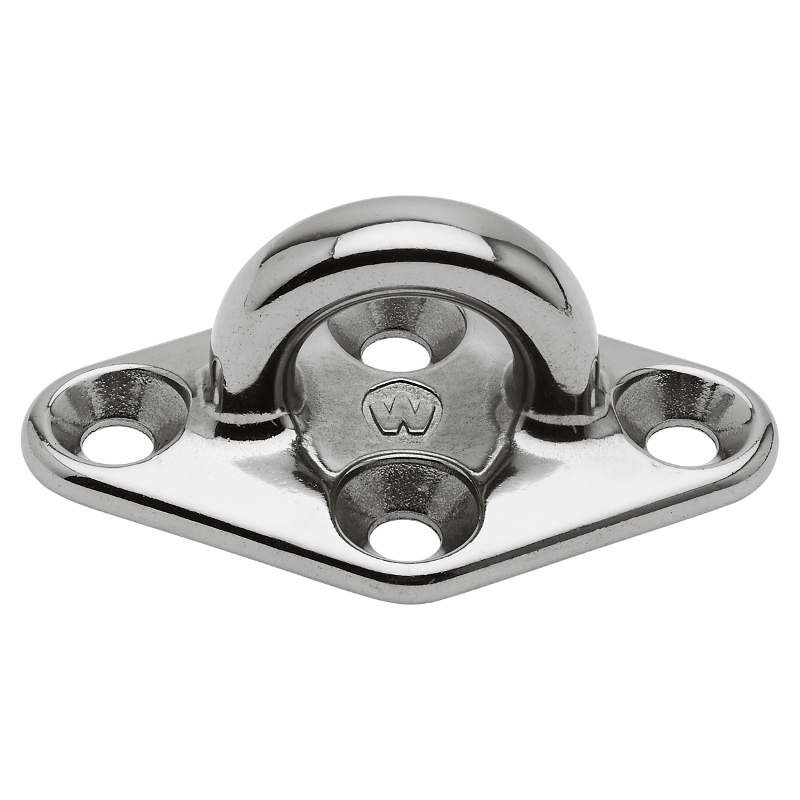 As sole agents we offer and stock the entire Wichard range from their very extensive catalogue of high quality stainless steel and deck hardware including stay tensioners, snap shackles, blocks, knives, tiller extensions and much more. The Wichard range can be carded with barcode on request. 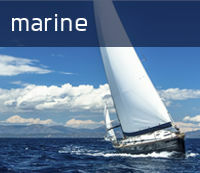 Proboat is very active in the architectural and industrial rigging market. 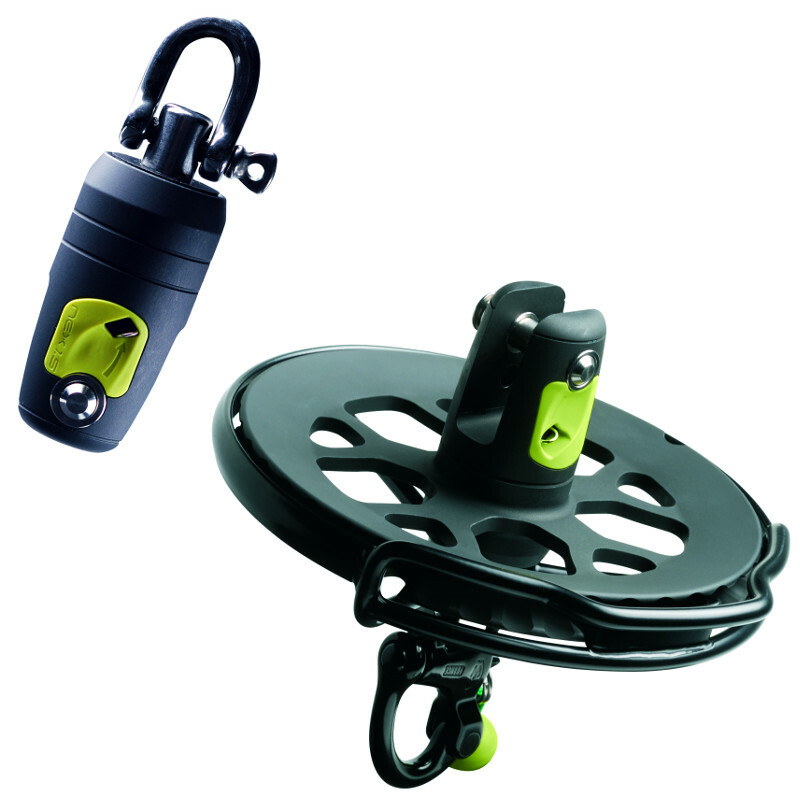 We have available a separate catalogue featuring a unique line of products for this market including downsized rigging screws & specialist terminals. 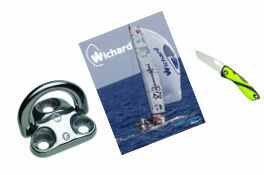 There is a sales brochure or data sheet for every technical product featured in our main catalogue. 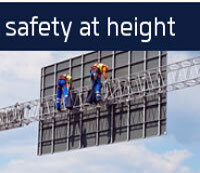 Although great care is taken to ensure the information in this catalogue is accurate, all information is given for guidance only and is not contractual.